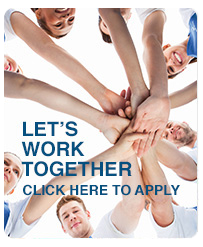 Sovereign is always accepting applications for candidates to join our team. Please be sure to complete the online application only. If you are selected based on your application submission and current need we have available, a recruiter will contact you within 5 business days for the screening process. Applications will stay active for up to 30 days for further employment possibilities,if there is not a match upon initial submission. Facility Assistants and Specialists- 2nd shift! THESE POSITIONS START from $11.50-$14.00 hour, DOE. These opportunities are full time and only the strong will survive. You will work hard, but you will receive the benefit of working with an experienced team and learn to excel in the industry. Hours are mainly Mon-Fri, with occasional weekends and day shift, but mainly from 4pm-12 midnight. 40 hours a week. Some overtime and overnight work may be necessary. If you are able to travel within the outlying areas we service, for the Assistants and Specialist positions, have a interest in learning the facility management services industry, have reliable transportation and ability to work in all facets of our segments, then this is a job for you. We offer paid travel and mileage with these positions. DOE. Valid license is required. Same day travel normally all within a 60 minute radius. Healthcare options for 30 hours or more worked weekly. Facility Associates– PART TIME – various areas within the NEPA , Scranton, Wilkes Barre, Pottsville, Central Pa and surrounding area. These positions are mainly part time mostly nights after 5pm. If you are seeking a supplemental income these are the best positions that may fit your needs. Various hours and locations and normally they are Mon-Fri. Paid time off is provided for these positions. Locations do vary with Sovereign openings. You are encouraged to apply first and we will determine if we have a match for you based on your application and availability along with skill set. Our positions and locations change frequently, and you may not receive a call initially if there is there is no match at that time. Applications do stay active for up to 30 days. Employees receive uniform tops, with ID badges and paid time off through the year. So why not start your career in facility services. LET’S WORK TOGETHER! All interested candidates must fill out an application before a phone screen can be conducted. Email to People and Culture: hrresume@sovereigncs.com for any forms that need to be submitted. This email is only used for one way direct communciation of applications and verification forms. If you need to speak to someone, please contact your direct supervisor. All guidelines of Title VII – Diversity and ADA policies are strongly followed in our hiring process.